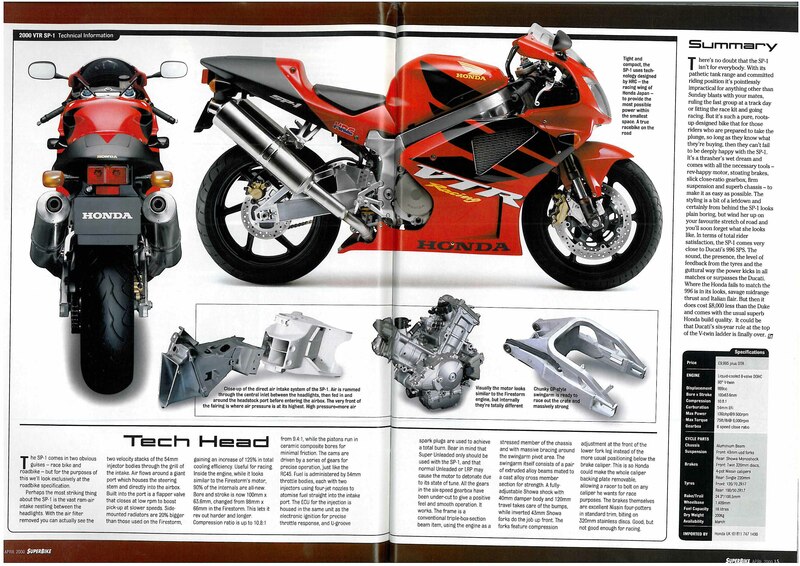 The Honda VTR1000 SP-1 was the big H’s answer to the all conquering Ducati 916 that had been running the show in The World Superbike Championship for years. 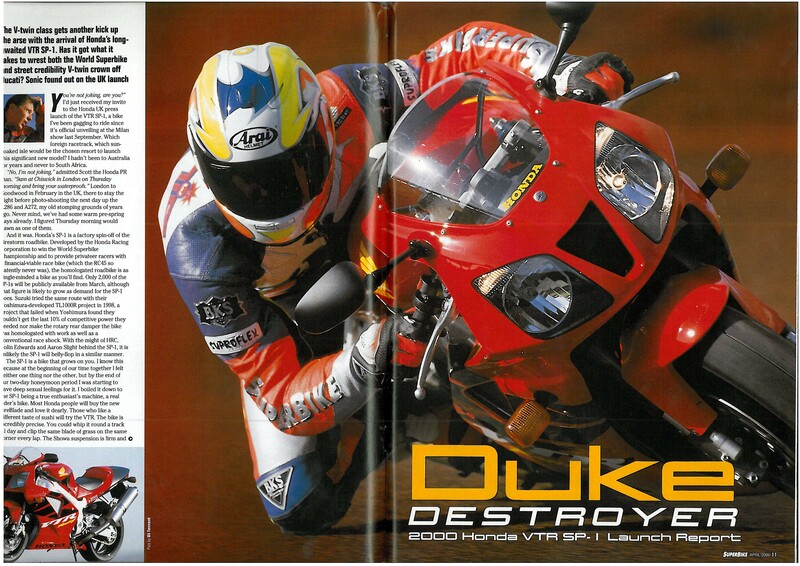 Sadly for Honda, it was never quite the Ducati slayer they were hoping for either on the road or on the track. 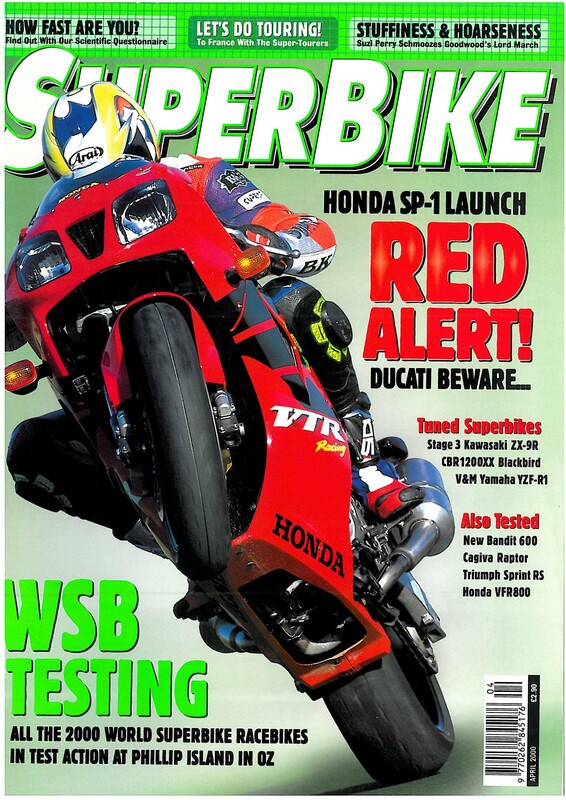 It was always a bit heavy and took mega money to get the performance anywhere near competitive levels. Even so the SP-1 has become a cult bike recently with prices on the used market seeing a steep rise for standard examples in tidy condition. Here’s the launch report by John Cantlie from the year 2000.